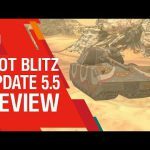 Update 5.4 for World of Tanks Blitz | WoT Blitz 5.9 - Fan Site! Commanders! 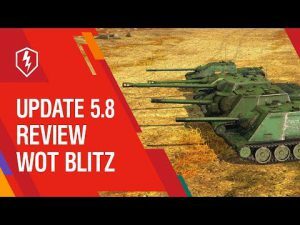 Today, October 10th, a new update for World of Tanks Blitz has been released. 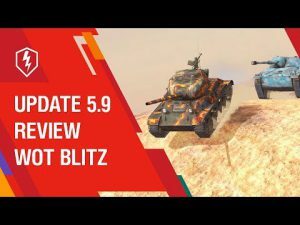 The current version of the game 5.4. 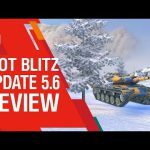 In this patch, you expect new skirts, interesting camouflage, interface adjustment, changes in rating battles, as well as balance edits. Well, now about all this in more detail. 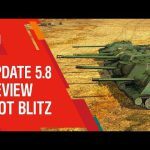 What is new World of Tanks Blitz 5.4? After the release of the update has become much easier. The game has two new skins: not struck and Jack’s lamp. As well as two rare camouflage became available: a spider web and pumpkin batch. 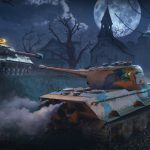 All these external changes are related to the event that is coming soon, we mean Halloween. 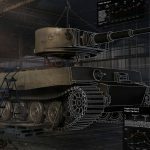 The rules of the balancer in rating battles have changed. 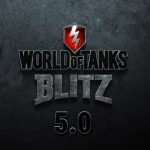 For example, each team can now have up to 7 heavy tanks and no more than 3 destroyers or light tanks. Changed interface in the hangar. Buttons “crew” and “improvement” are now located above the carousel, but in their place will now be located buttons: “ping icon”, “booster” and “experience multiplier timer”. The merit button is now located next to the player’s name. As for the balance of changes, you can learn about them from the video below.